A few months ago I was contacted by a company that specializes in products for the preservation of weapons, ammunition as well as other metallic items prone to rusting. The company is Heritage Packaging company who markets the ZCorr line of scientifically designed storage bags. 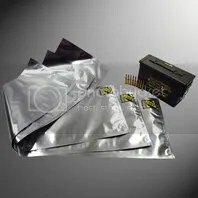 ZCorr manufactures several bag sizes. The sizes range from storage for smaller objects up to full size rifles with optics attached. In fact the US Marine Corps uses these products for transport and storage of ammunition, M16’s, M4’s etc. 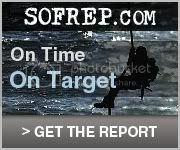 Operating in many cases around salt water environments this is especially important for the Corps. As most shooters know after our last presidential election there was a mass run on the purchase of firearms and ammunition. I know a fair number of people who purchased many thousands of rounds of not only ammunition but extra guns. Most of these shooters never intended to fire this ammunition or even the extra guns. This is all fine and well but what are you going to do in order to protect that investment over the years? These ZCorr bags could very well be what you need to protect your guns and extra ammunition. 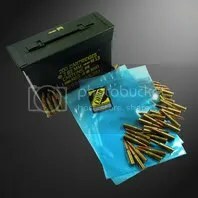 Since I believe in testing products to the fullest before recommending them to readers I’ve stored ammunition as well as a revolver and rifle for the last several months. After placing these items in the bags as recommended I placed them in a damp basement. I occasionally checked on them of course. Two weeks ago I decided it was time to take these items out of storage and inspect them for any signs of rust or degrading of the wood stocked rifle. In the case of the ammunition I also wanted to take this ammunition to the range to make sure all of the rounds would still fire. After bringing everything home I opened the packages and inspected the guns. They showed no signs of rust inside or out. The ammunition had no oxidation I could observe. Everything looked the same way it did three and a half months ago when I stored them. I took these same guns and ammunition to the range and fired all 150 rounds of assorted ammunition without a failure to fire. The lube on the guns looked the same as well and functioned as they did prior to storage. This pretty much convinced me they had a very good product! ZCORR FSP Bags™ utilize a combination of Vapor Phase Corrosion Inhibitor (VpCI) chemistry and barrier packaging materials to completely prevent the corrosion of your firearms and ammunition. The material that ZCORR FSP Bags™ are manufactured with is a proprietary lamination of materials that conjointly yield anti-corrosion properties that have not been commercially available until now. This laminated, anti-corrosion barrier material is puncture resistant, tear resistant, non-abrasive, non-toxic, and will not harm any non-metal surfaces. However, the most important features of the material are its VpCI impregnated sealant layer and its foil barrier layer. The VpCI impregnated inner layer is where the anti-corrosive properties come from. The VpCI chemistry impregnated in the interior layer migrates out of the plastic and forms an invisible gas inside of the bag. This gas is made up of singular VpCI molecules that are attracted to the interior and exterior metal surfaces of your firearm. The gas coats these metal surfaces with a one molecule thick layer of VpCI chemistry that stops corrosion before it can begin. This one molecule thick layer of VpCI chemistry dissipates off of the firearm with no cleaning necessary when it is removed from the bag so that the firearm is ready for immediate use. 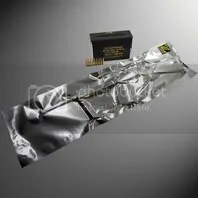 Foil barrier layers have been used in the packaging industry for decades and are recognized as the best material for blocking the transfer of gasses and water vapor through flexible materials. The foil layer in ZCORR FSP Bags™ performs two tasks simultaneously; it keeps harmful corrosion causing elements out of the bag and keeps the corrosion inhibiting VpCI chemistry in the bag. This allows the bag to protect your firearms and ammunition for longer than any other product on the market. The limiting factor on how long a ZCORR FSP Bag™ will provide anti-corrosion protection is how long the bag is able to keep the VpCI chemistry locked in. Because the foil barrier layer does not let any VpCI chemistry permeate it, the only way for it to escape is when the bag is opened and closed. Bags that are repeatedly opened and closed will maintain their protective qualities for approximately 5 years. Bags that are not opened frequently can maintain their protective qualities for up to 20 years.